Recorded on cave walls thousands of years ago, images of primitive man are shown dancing and drumming around a tribal fire. These images, thought to represent rituals to bless a hunt or give thanks for a good harvest, depict an ancient yet timeless spiritual and religious tradition: praise and worship. Music and worship have been inextricably tied for thousands of years and the love affair continues to this day. Imagining church without music is like imagining a rodeo without horses or an orchestra without a string section. The role music plays in developing and growing our ministry cannot be overstated. This is because the worship experience is not only about hearing a message or learning a new interpretation of a scripture—a complete and fulfilling worship experience involves community building, bonding, and creating atmosphere through physical vibration as only music can. Gathering in—Music signals the beginning of a ritual or gathering. It focuses us on worship and the message to come. Unifying—Singing together creates a sense of oneness and unity among the congregation. Vocalizing a single message through song creates a bond. Opening hearts—Music prepares your congregation to allow new ideas to be accepted and to be open to new beliefs. Supporting the minister’s message—A good song can take a complex theological idea and simplify it so that it can be more easily digested. Providing segues—Music provides transitions between segments of the service so the attention is held and directed forward for a seamless worship experience. Raw entertainment value—don’t underestimate the power of a good song delivered well. In the same way a good joke in a talk “entertains” and builds anticipation, high quality professional music at Woodridge brings our community together again and again! 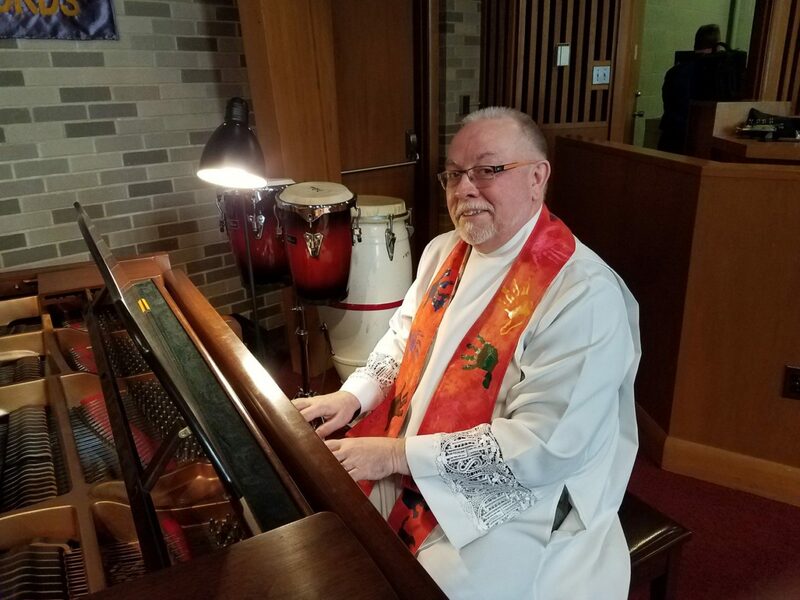 Today, with the wide diversity of tastes and information around the world, our message in the music at Woodridge provides a bridge that draws diverse groups of people together to draw from diverse forms of music. We are here to lead and enhance the message and experience of worship! How Do We Experience Music as Ministry? We hear and feel the voices of our choir and special ensembles recall the ancient texts and forms that remind us of the history of our faith journey, from chants to the great choral works, and right up to contemporary composers. Our choir group meets in our music room on Thursdays from 7:30 to 8:30 pm, exploring a wide variety of musical interpretations of our faith journey. On special occasions, we gather larger and more occasional groups to sing on special days. 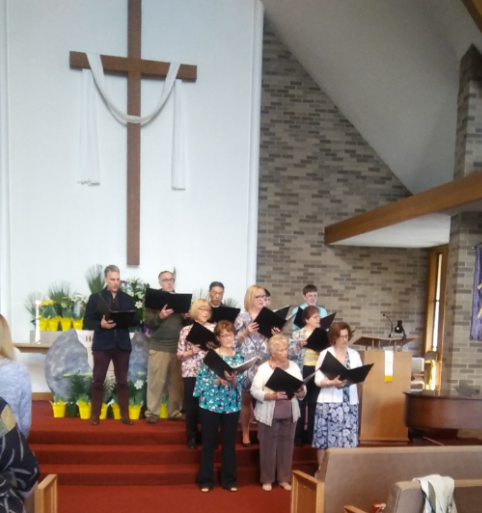 One group is our famous “Hallelujah Chorus” for Easter Sunday, started in 2010, that has become a traditional and joyous close to our Easter worship. 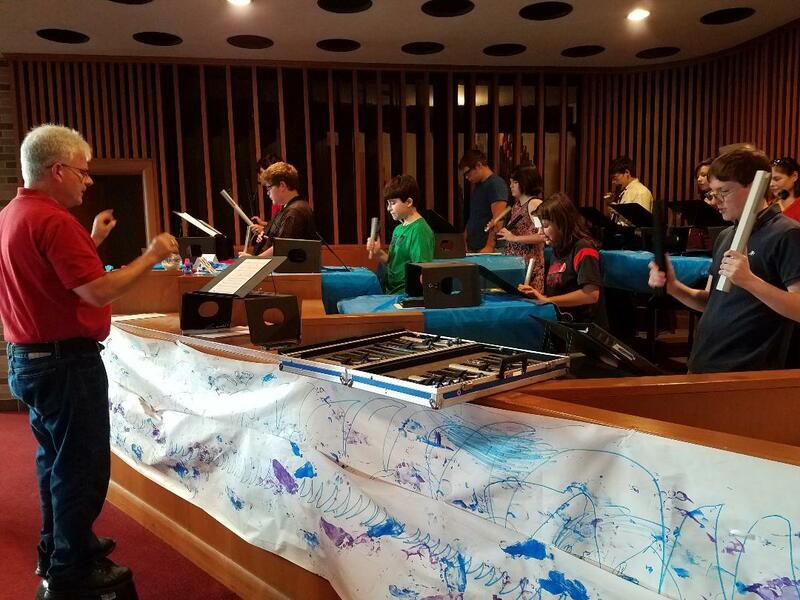 We have developed two unique groups of hand chime players…one that is intergenerational, our Prime Time Chimers, and an advanced group, our Woodridge Advanced Chimers. Our range of 4 and 2/3 octaves of chimes, provide opportunities for many players of all ages and abilities! * Prime Time Chimers focus on rudimentary elements of music and rhythm, suited more for the beginner. All you need to learn is how to count, and our director, Bob Quintiliani, guides you through the rest. Rehearsing on Sunday mornings, following worship, you will find a lot of fun! * Woodridge Advanced Chimers take on more of the intermediate and advanced skills of chimes playing, adding texture and percussive effects to the notes they play. This group meets from 6:30 to 7:30 pm in our sanctuary on Thursday evenings. 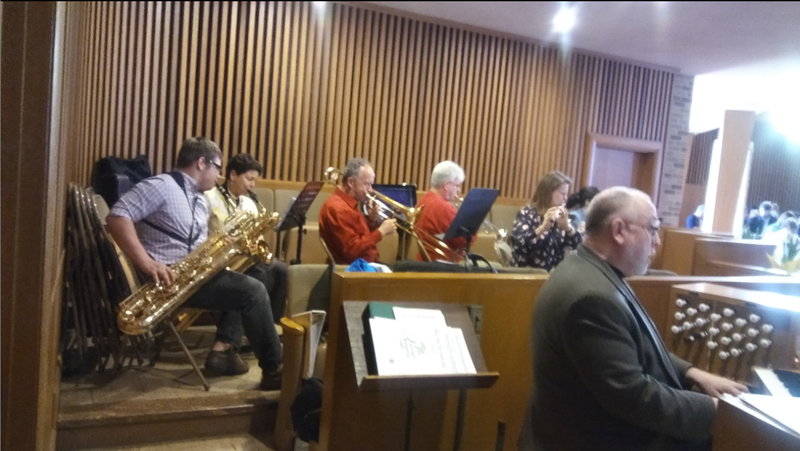 Woodridge has an immense pool of talented folks who play a wide variety of instruments on various occasions in different ensembles – solo, duets, trios, quartets, and full orchestra! If you play an instrument, we would like to know how you would like to participate…and then let’s do it! The color and textures of our instruments supports and lifts our congregation in song and experience of worship. Overall…come try us out! Bring who you are and what you have, as we’ll help you to give it form.